Dupre is wanted in reference to a carjacking that occurred Tuesday, Jan. 15. Police say the man pulled out a gun and demanded she drive him to the west bank. He then pulled out a gun and robbed her. Police are searching for a 20-year-old man after he carjacked a woman Tuesday afternoon in Jefferson Parish. According to the Jefferson Parish Sheriff’s Office, Quinton Dupre contacted a 23-year-old woman around noon Tuesday and asked for a ride to a store in the 1100 block of S. Clearview Parkway. She picked him up on the West bank and brought him to the store in Elmwood. Once he was finished in the store, Dupre returned to the woman’s vehicle and pulled out a gun. The sheriff’s office says the man demanded she drive him back to the West bank and the woman complied. While in Marrero, Dupre then demanded the woman’s property and ordered her out of the vehicle. She complied and he fled with the vehicle. Around 8 p.m. Tuesday night, the woman reported the incident to the sheriff’s office. The victim was able to identify Dupre as the suspect as she has known him for several years, the sheriff’s office says. The woman’s vehicle was found abandoned outside of a Marrero apartment complex. Dupre is wanted for counts of armed robbery, second degree kidnapping and illegal firearm possession by a convicted felon. 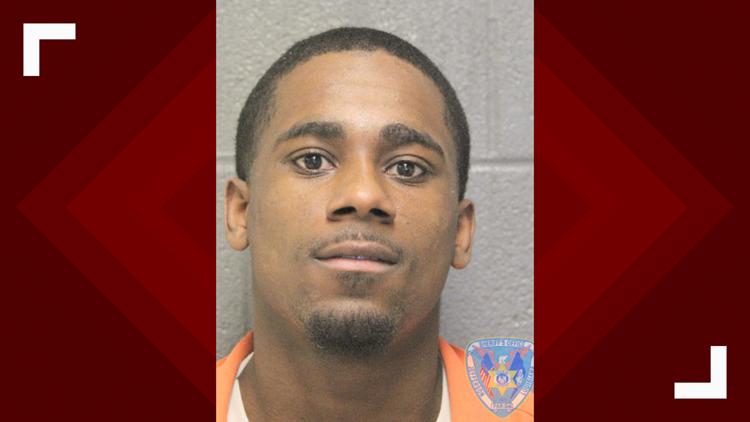 Anyone with information regarding Dupre’s whereabouts is asked to call the Jefferson Parish Robbery Section at 504-364-5300 or Crimestoppers.